The more I travel, the more I’m convinced that the best way to feel like a local in a new place is by observing, learning, and doing things like the locals do. Our latest adventure in Barcelona further proved this bit of wisdom. 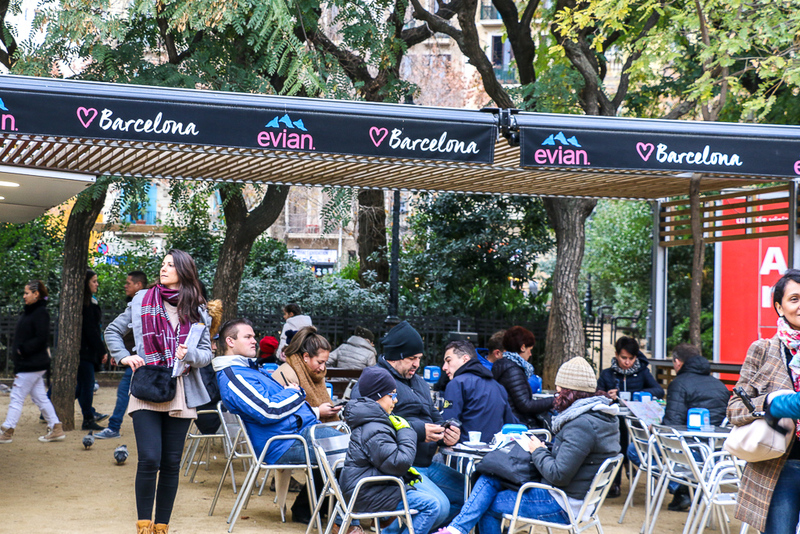 It seemed that Barcelonians know it best all about what to wear, what to eat, or how to be so welcoming. So let me give you a quick update on the things that the locals here excel at and things to pick up in Barcelona on your next visit. Barcelonians are arguably the friendliest people on Earth. Don’t be surprise when a complete stranger goes above and beyond to help you navigate through the city. Be it a carriage rider or taxi driver, everybody is super attentive and gives you detailed information on how to get to your next destination. No monetary reward or demand of using his or her services is asked or expected. The same goes about bus drive that know it best how to provide you with simple road directions and make sure you get off on a right bus stop. 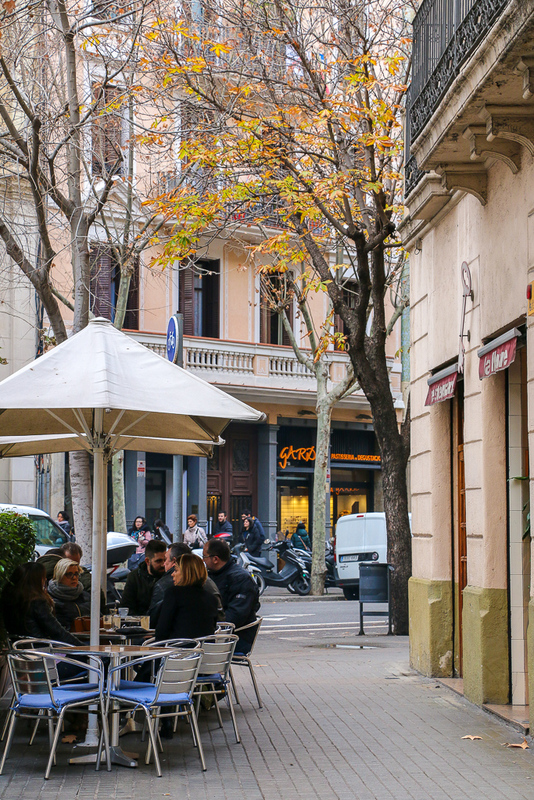 Even random strangers on the streets of Barcelona eagerly share smiles and strike up conversations as if you’ve been friends with them since your childhood. If you ask me, I think it’s one of the greatest things to pick up in Barcelona and take with you everywhere you go. You hardly see a person not validating his or her bus pass upon getting on a public transportation. (I personally didn’t encounter even a single one.) There are no free rides, and Barcelonians are very familiar and agree with it. This definitely goes straight on the list of things to learn and borrow from Barcelona. On the other hand, many locals lose their patience when it comes to waiting for green light at crosswalks. So often, you’ll see them confidently marching from the other side of the street on red. 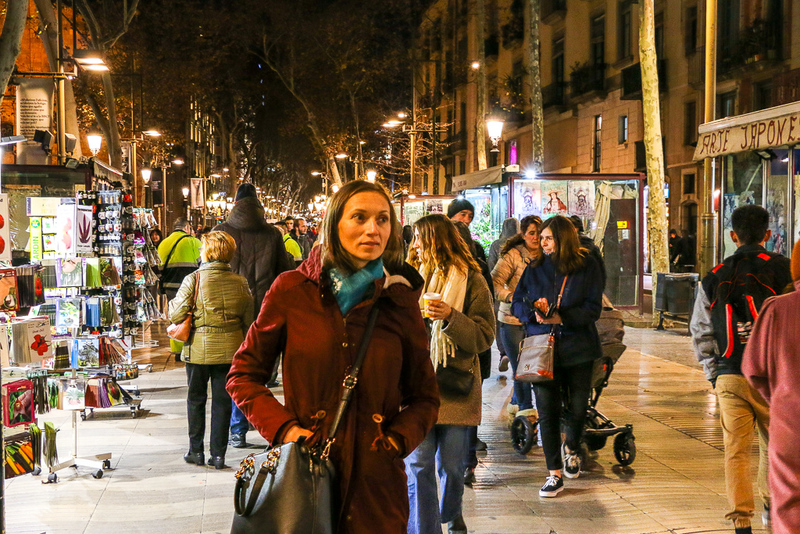 On top of that, pickpocketing is far from being an unheard thing in Barcelona. On the contrary, when visiting the city, be super street-smart and carry with you only stuff that you really need. And for your own sake, make it a habit to wear your backpack or purse in front of you where you can see it. Just deal with it: the locals in Barcelona are quite fashionable. There is no t-shirt or sweatpants as part of casual look. Snickers are also kept for working out in the gym or going for a run. Instead, dress pants, all sort of dresses, chic jackets, and classic coats prevail the city. Not discriminating or offending anybody, I personally think it’s such a pleasant contrast to a laid-back style typical for the streets of other big cities such as Los Angeles or Vancouver and definitely one of a few things to pick up in Barcelona. Barcelonians know it better how to be fashionable. Yes, scarfs, those must-have winter accessories. What else would you expect from such a stylish city? Honestly, if you are in doubts how to wear your scarf or look for a new way to do it, take a walk on the streets of Barcelona. Every woman here has her own unique way to use this accessory. And I must say, each time it looks amazing. This one is for sure one of my favorite things to pick up in Barcelona. For all orange juice enthusiasts, Barcelona’s supermarkets (supermercats) have your back. 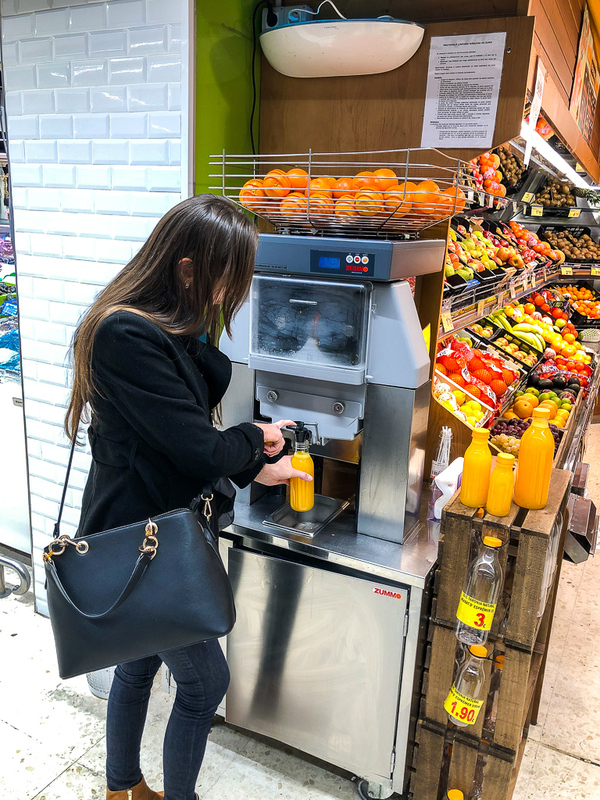 You can either get your prepackaged juice, or head over to a giant juicer and squeeze your own OJ. It couldn’t be fresher than that. Furthermore, the prices are very reasonable. To unveil the truth, “making your own juice” is even cheaper than stopping by for refreshment at a juice stall. I wish only that US supermarkets would incorporate this brilliant idea. Make your own juice at supermarket in Barcelona. Barcelonians eat a lot of bread and make it widely accessible. From baguettes to croissants, tarts, pies, and cakes, the carbs are everywhere. What wonders most is how Barcelonians can eat so much bread and remain fit and healthy. There is no clear answer to this question. So don’t even bother to explain or rationalize it. 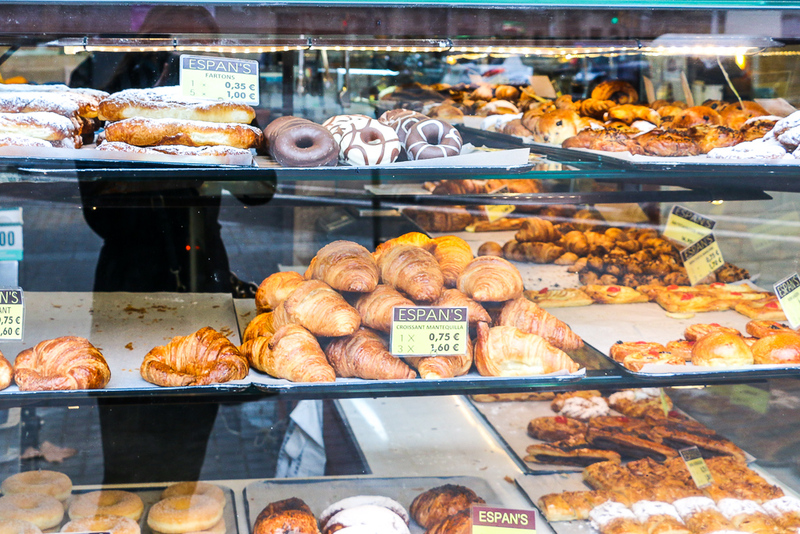 Instead, follow the locals’ lead and carb your way through Barcelona. Bread and pastry products are everywhere in Barcelona.